This is a complete list of all detention facilities and Washington county jails that hold defendants prior to posting bail. We have provided links for you to get information about jails to assist you in locating a friend or family member who may be incarcerated. We are here to help, and know you want to use an honest and reputable company to help get your friend or family member bailed out from any county jail or other holding facility. 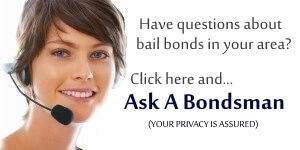 If you have any questions about bail in your area of Washington state, please look at our how bail works in Washington state information page. If these Washington county jails or detention facilities need amended or removed from this list, please contact us with your message.